ESPN's Grantland has suffered an editorial exodus this year, most notably parting with its best-known personality, but those recent departures have coincided with a period of promising audience growth for the sports and pop culture site. Bill Simmons, Grantland's founder and editor-in-chief, left the site earlier this year after ESPN decided not to renew his contract. Nevertheless, the site has enjoyed some of its most robust web traffic since it launched in 2011. Grantland's traffic numbers are still relatively modest, and they account for a small fraction of ESPN's overall digital audience, but there's no question that 2015 represented a year of growth. In May, the month that Simmons departed, Grantland hit its high-water mark with 7.226 million unique visitors, according to ComScore. The site followed that up with another strong showing in June with 6.872 million. And July represented the site's second biggest traffic month, notching 7.201 million visitors. 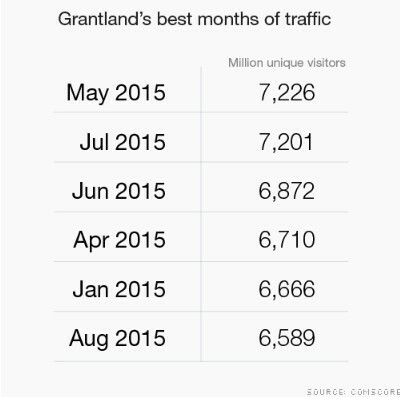 Grantland's six best months in terms of unique visitors have all come in 2015, and three have come after Simmons parted with ESPN. According to an ESPN spokesperson, traffic numbers for September, which are currently unavailable, are expected to continue the upward trend. The site's healthy traffic growth is a testament to the talented roster of writers and reporters that Simmons helped assemble. At the time of Simmons' exit, as many media observers wondered how Grantland would fare without its biggest star, ESPN signaled its faith in the site, emphasizing that it wasn't just a one-man show. "ESPN remains committed to Grantland and we have a strong team in place," the company's president John Skipper said in a statement. But that team has dwindled in the last month. In September, Pulitzer Prize winner Wesley Morris, a clear favorite of Simmons, left Grantland to become critic at large at the New York Times. 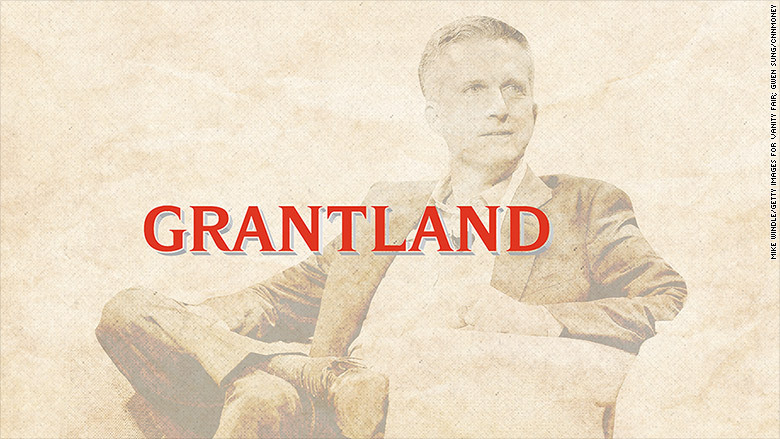 Last week, four Grantland staff members resigned to go work with Simmons at HBO. On Monday, MTV announced that it had poached Grantland's founding editorial director Dan Fierman. After news broke that the four staff members were leaving to join Simmons at HBO, ESPN said it "completely expected turnover which is not at all unusual in this space" and noted that it has "re-signed seven Grantland staffers in recent weeks." Meanwhile, Simmons, whose publicist did not respond to a request for comment, has not held back his criticism of his former employer since his new podcast debuted earlier this month. In the second episode, Simmons accused ESPN of being soft in its coverage of the NFL. When Morris was a guest on the show, Simmons lamented ESPN's lack of support for Grantland. Appearing at a conference in San Francisco last week, Simmons continued his critique of ESPN while discussing whether Grantland was profitable. "It was probably like right around even," Simmons said. "This is probably going to sound like sour grapes, but so much of it has to do with the priorities around how you sell stuff, and we were a boutique site."